So You Want To Be a Real Estate Investor? Facebook Live Event 9/21/16! So You Want To Be a Real Estate Investor? Facebook Live Event 9/21/16! …What we don’t always know is how to get started or what investing strategy to use. It’s time to leave the unknown behind! 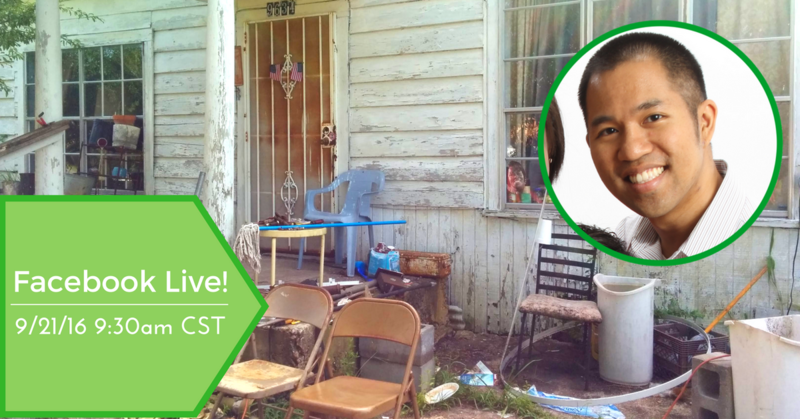 Seasoned real estate investor Kenn Sok will share how to get started in real estate investing no matter what strategy you prefer via Facebook live on Wednesday 9/21/16 at 9:30am CST! Want to learn how to be a wholesaler? Want to grasp step one of fixing and reselling a house? Kenn’s got you covered. Join us on September 21st at 9:30am CST. Consider this the A, B, C’s of getting started in real estate investing. Come prepared to ask questions and take notes! Go to MyHouseDeals Facebook on September 21st at 9:30am CST. We’ll see you then! 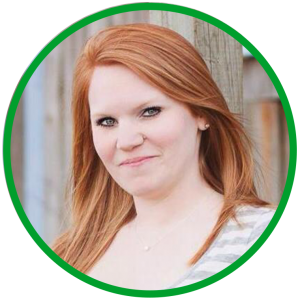 The article below is written by one of our staff members, Katie Lamb, who is learning about real estate investing for the first time. She shares the feelings of a lot of newbies, which is why we invited Kenn Sok to join us to start from square one. So…you want to be a real estate investor? You’ve heard the stories, read the articles and now think you’re ready to jump into the world of real estate investing. Fear, confusion, excitement… Whatever you feel the important thing is that it makes you feel SOMETHING. This means you’re on the right road, but where are you headed? The investing world is huge and complicated, but extremely exciting and immensely rewarding. I began working at MyHouseDeals in 2016 after always being interested in real estate investing. Like many people, I am looking for passive income and more financial freedom and didn’t know where to start. So recently, I started doing some research and attending training. Now that I have for sure decided that maybe I want to invest in real estate, there are probably a million things running through my head. Where do I start? How does it work? What if I’m not successful? All of these are valid. I was always intrigued by the property investing industry, but felt as though it was a bit out of my reach. I had the misconception that real estate investors were guys who were already rich, because who can afford to buy and sell homes on the fly if they don’t have piles of money sitting around? I thought my only way into the elusive REI club was to become a real estate agent. I toyed with the idea and thought it would be something right up my alley because I’m great with people and have some sales background. It wasn’t until I landed a job with MyHouseDeals and heard stories of everyday people investing and building wealth that I realized there is a whole side of this world I never knew was out there. Yes — there are regular, everyday people investing in ways I didn’t know existed with money I thought was out of reach. I had no idea how naive I was. If you feel dumb when it comes to REI terminology, you’re definitely not alone. For a newbie, terms like ARV, FMV and REO might have an intelligent person like yourself scratching your head. The world of real estate investing sure does love it’s acronyms for terms, so be sure to look them up. For a comprehensive list of terms, check out the glossary on our site! And if we are missing a term there — be sure to let us know in the comments below. In addition to the terms, the funding options can make your head spin. Hard Money, Private Money, Crowdfunding, just to name a few. What does it all mean? How does it all work? I’m sure you’re wondering which is right for you and if you stand a chance of qualifying. These concerns are completely valid and it’s important to remember what works for someone else won’t necessarily work for you. Do your research and find the financial vehicle that fits your lifestyle and budget best. Our team recently wrote a detailed post about all of your real estate investing funding options, and you can read that here. Just as soon as I felt like I could hold a conversation with an investor complete with the correct lingo, and ask for advice on my funding options, someone asked what approach I was taking. Am I Wholesaling, Flipping, Buying & Holding, Investing in Liens, Lots or Notes, or REITs… There are so many avenues to take! Which one is right for you? What do these terms even actually mean? Wholesaling, flipping and renting are the 3 most common types of investing, so I started by learning more about those. Wholesale: You contract with the seller, market the property and assign it to a buyer you find. You’re generally paid a finder’s fee to make the deal happen. To read much more detail about wholesaling, click here. When thinking about what approach is right for you, remember that you don’t have to pick one and stick with it. Just like people, no two deals are alike. Find what works for that deal and run with it. If you’ve read this far, chances are you’ve felt what I feel. Like me you want to learn more and give it a real try with a lot of effort. After all, if you’re like me you have a lot to lose if it doesn’t work out: A mortgage to pay, ballet class to cover and college funds to save for. I don’t take lightly what’s at stake for me and I doubt many people do. That being said, I also know that anything worth doing, is worth doing well. In order to put your best foot forward in this industry, you have to educate yourself. Immerse yourself in articles, books, and anything that will enhance your real estate investing knowledge. Don’t be so skeptical of the educational products out there. I know sometimes the message of “Get Rich Quick” seems fishy, but the majority of these investors have made millions through investing and really do share a great deal of knowledge and experience through their products. In any major city there are networking events, training, and other in-person activities you can join to learn more about Investing. I’ve found that hearing people’s stories is extremely educational and insightful. Everyone who has been “around the block” in this industry has stories of both a cautionary nature as well as success. Listen, ask questions, and just generally soak it all in. Whether you are ready to dive in head first or just ready to get your feet wet consider testing the waters in real estate investing. There is so much wealth out there to be had. If you never try, you’ll never know. When you’re ready to really jump into the deep end MyHouseDeals will be there with resources including property listings, leads for funding options, and many educational resources to hand you the proverbial pool floaties you might need at first. Start taking action now. Join us for a LIVE training session with seasoned real estate investor Kenn Sok. He will cover the ABC’s of different real estate investing strategies and will be answering questions. Go to MyHouseDeals Facebook on September 21st at 9:30am CST. We’ll see you then! Come with questions!